Mobile operator 3 has teamed up with internet telephony firm Skype to launch a new cheapo handset that will let you make free internet calls on your mobile phone. The 3/Skype phone is set to launch later this year, available to both pay-as-you-go and contract customers, The Guardian says. If you're one of the UK's 2.5 million Skype users, you'll be able to transfer your Skype account to the handset to make free calls and send texts to your contacts. This could save you a fortune if you've got family and friends overseas. Not all Skype functions will be available, at least not initially. You won't be able to phone non-Skype landlines, chat, make video calls or access voicemail. It is unclear which of these functions will be added to the mobile service in the future. 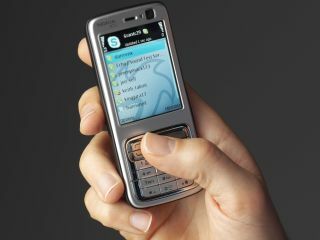 A 3 spokesperson said the aim was to offer the same Skype services on a mobile handset as the computer version. There'll be no extra charge for using the Skype handset abroad, as long as you're within 3's mobile network coverage. "It will be a very good alternative for making international calls," a 3 spokesperson said. Last week we reported on free mobile network Blyk, which lets anyone aged 16 to 24 make free calls and send free text messages if they accept mobile advertising.